Ask any one whose walked around the Silent Hill block who the mascot of the foggy town is and you’re likely to hear one of two answers; the town’s executioner Red Pyramid Thing or Lakeside Amusement Park’s anthropomorphic fuzzball Robbie the Rabbit. 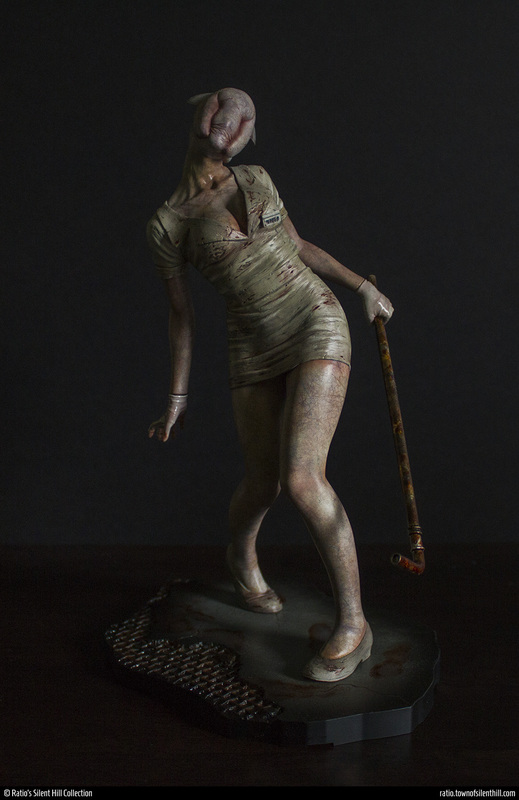 While the former leaves a lasting impression and the latter is quite literally a mascot character, there is one resident of Silent Hill that has been there through it all: The Bubble Head Nurse (BHN). From relentlessly pursuing Harry, snapping their necks at James, going Clint Eastwood against Heather and even making Alex question his stance on necrophilia, the Bubble Head Nurses will make sure your stay in Silent Hill is one you’ll never forget. 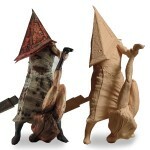 Their presence in the Silent Hill universe is as relentless as the town itself is to the tormented souls that dare venture its fog-ladened streets. It’s only fitting then that BHN is immortalized in all her grotesque glory through statue form. 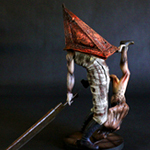 If you’ve been keeping up with my collection blog then you’ve undoubtedly been reading my praise about ToyMunkey Studios; a company whose fulfilled the call of bringing Silent Hill merchandise to the North American side of the world. ToyMunkey set the stage and left viewers gawking by introducing an intricately sculpted Red Pyramid Thing (RPT) statue that’s sure to leave an impression or two. From one collector to another, I’d like to give you my impressions of this piece along with further information and images that should sure to have you foaming a little around the mouth. On my introductory blog post I talk about the pleasant conversation I had with ToyMunkey Studio’s Scott Sohn and all the good things that followed with that. 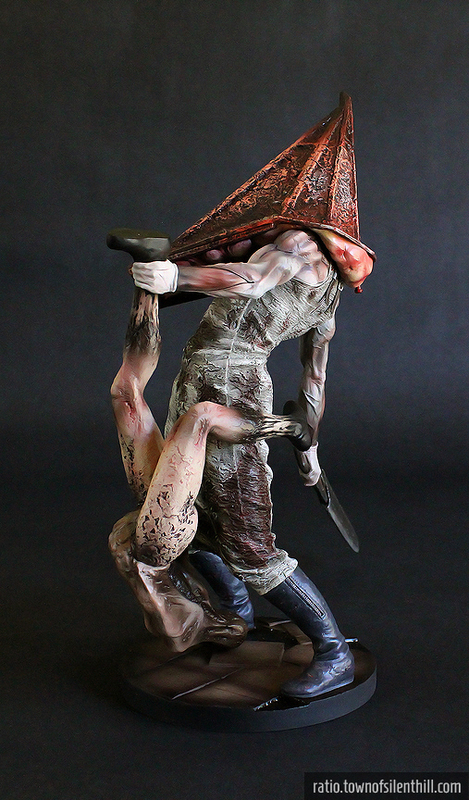 But the one thing I didn’t mention is how our conversation got kicked off; ToyMunkey Studios have announced they’re selling a resin version of their original Red Pyramid Thing statue that’s available for purchase right now! Although we cannot confirm it, I can say that it would be most likely available also as a kit only if demand permits after this July. This is an exciting announcement, friends. Scott laid out some incredible news but it’s up to us to make said incredible news a reality. Wait, what is a resin kit and why should we support them? 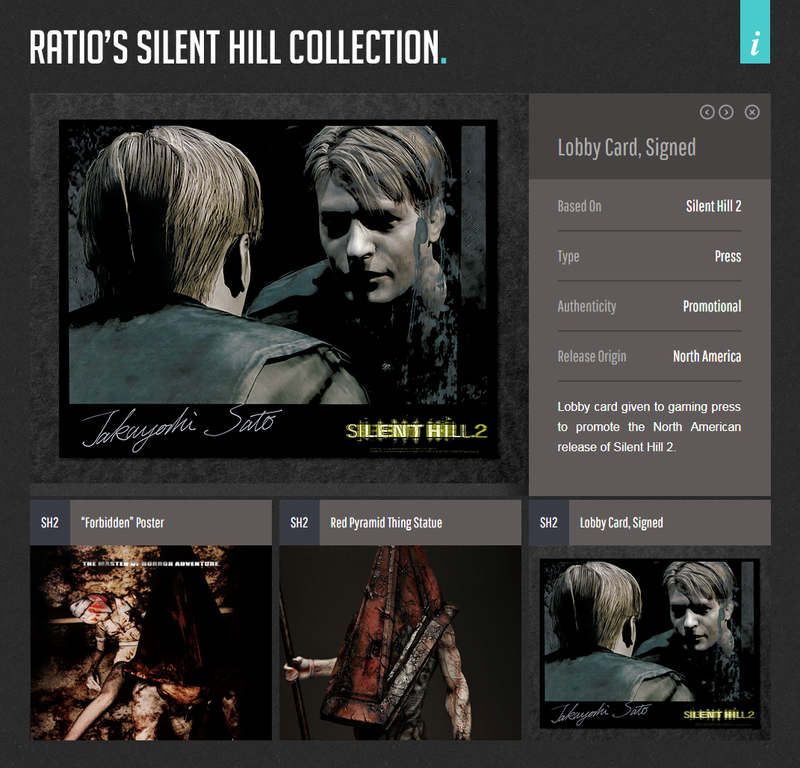 The mission of this blog will be for me to share my thoughts about Silent Hill collecting, expertise on Silent Hill-related merchandise, and to help spread awareness on items/groups of interest that may need our support for the greater good of Silent Hill collecting. 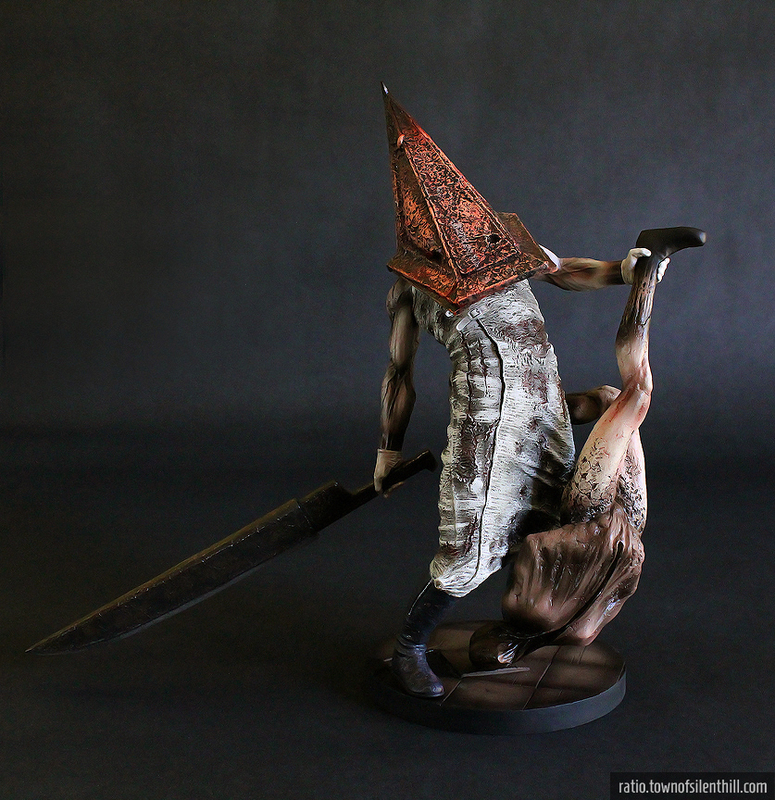 Now that we have the formalities out of the way, I’d like to start this blog off talking about being a North American Silent Hill collector and the trials and hardships that coincide being one. © 2019 John K. All rights reserved. Contact me. 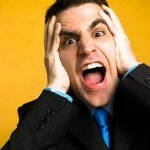 About this site. Friend's sites. It took a lot of work and time to create this site and its photos. To make it easier for people to find this page, there are watermarks on the bottom of the images when they are saved out. If you'd like to make a news article on your site about this page and include images from the site, please retain the watermark and use just one or few images. (Alternatively, here is a nice page shot you could use.) Thank you in advanced! If you'd simply like to share a particular item from this site to others, please be kind and directly refer people to the item's URL here instead of hotlinking images. When you click an item, the URL will change to the item's go-to link (url.com/#item-name) for quick copy and pasting for easy sharing. Additionally, every item has social sharing buttons (Facebook, Google+ and Twitter) under their description for even easier sharing.